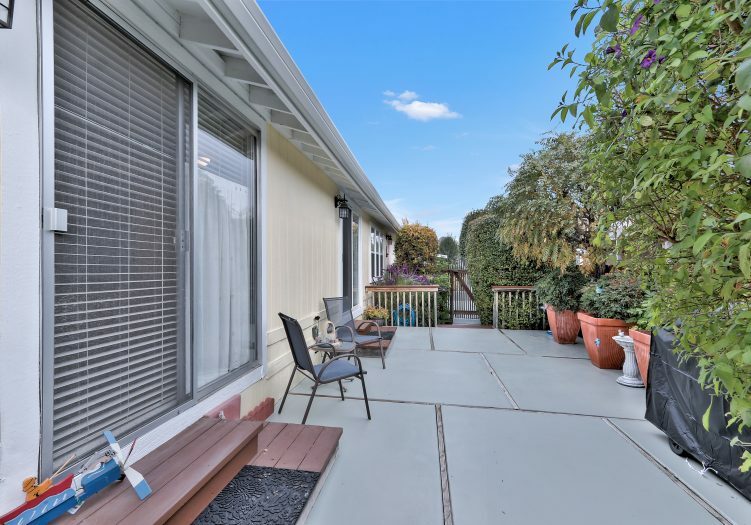 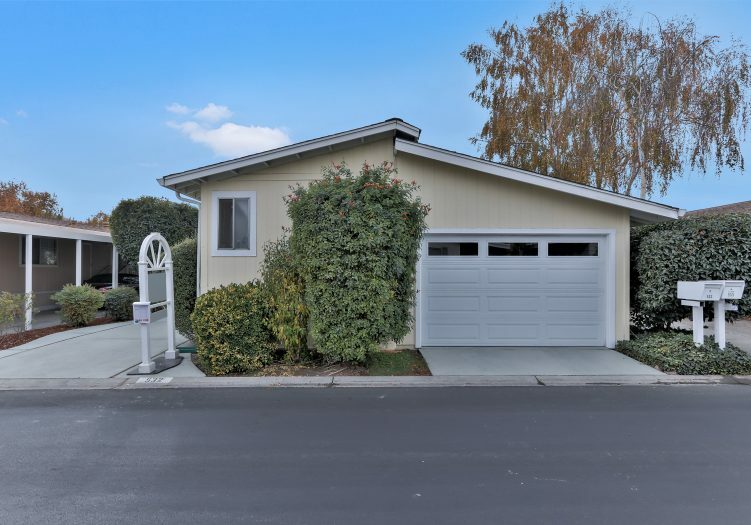 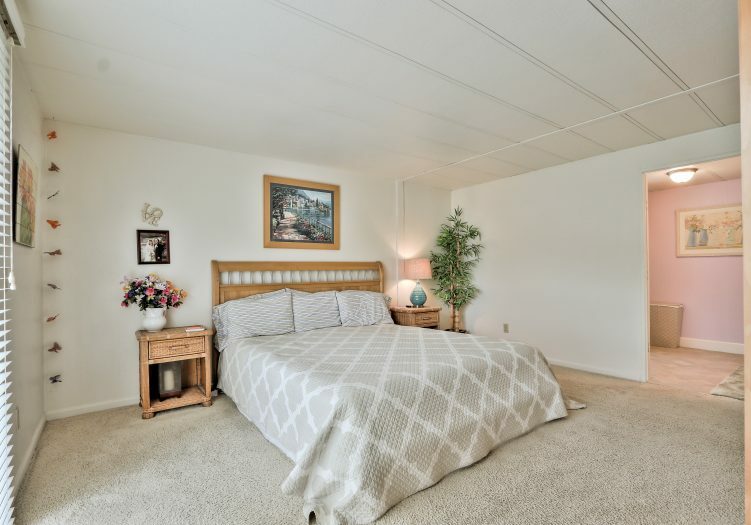 Located in the 5-star senior community of Millpond, this sweet catch of a home features 2 bedrooms, 2 baths, 1 car garage with new door and remote, and a driveway for additional parking. 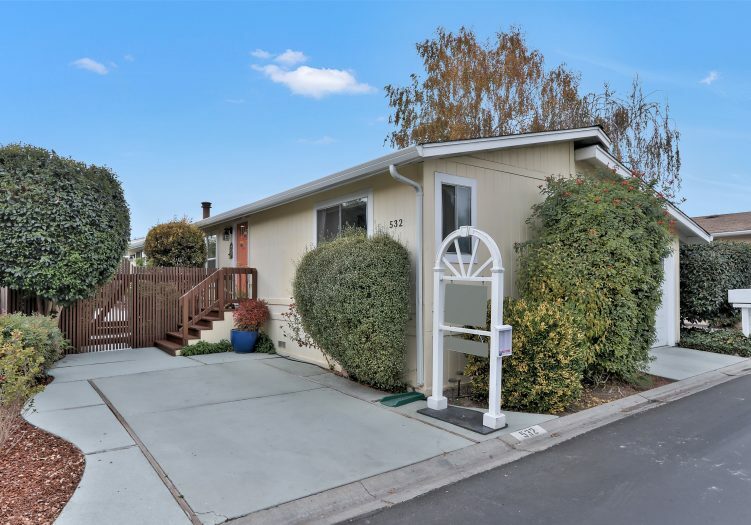 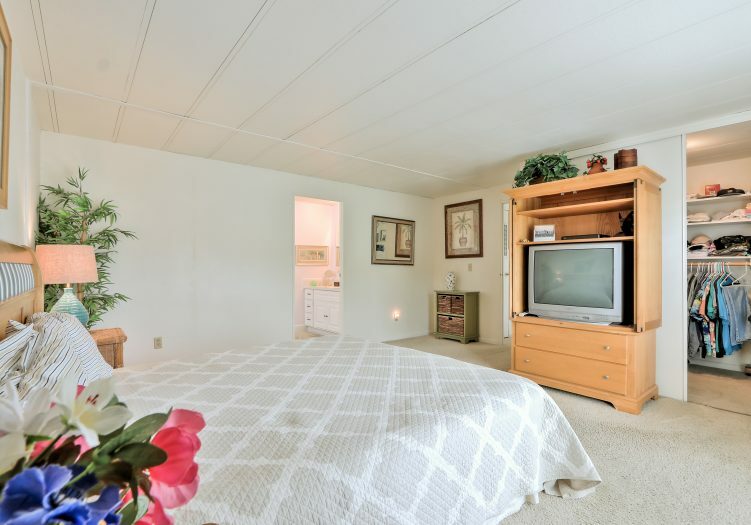 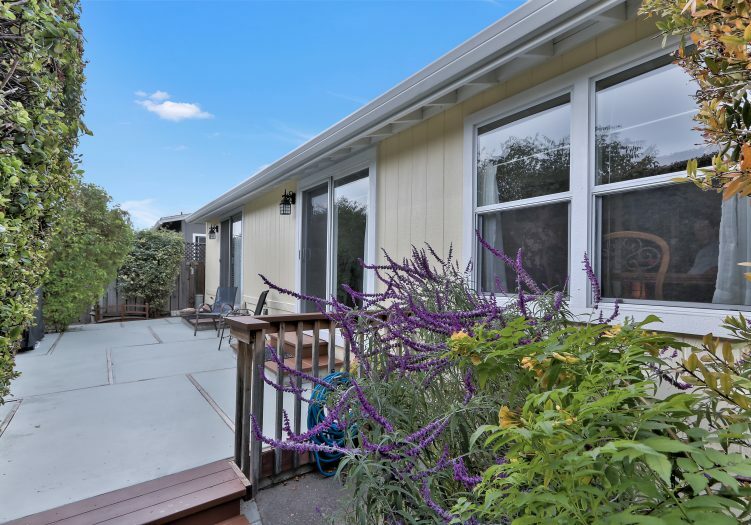 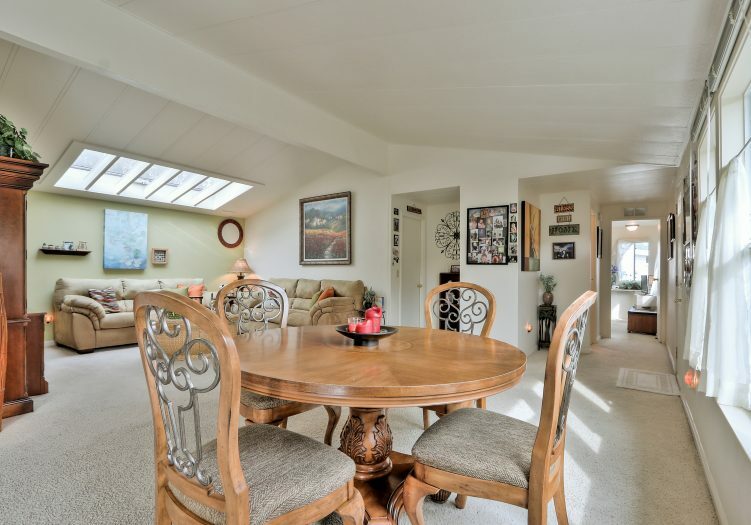 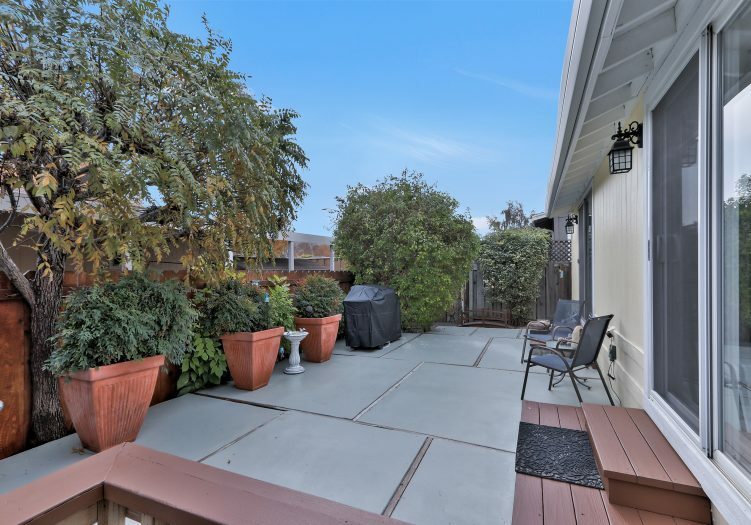 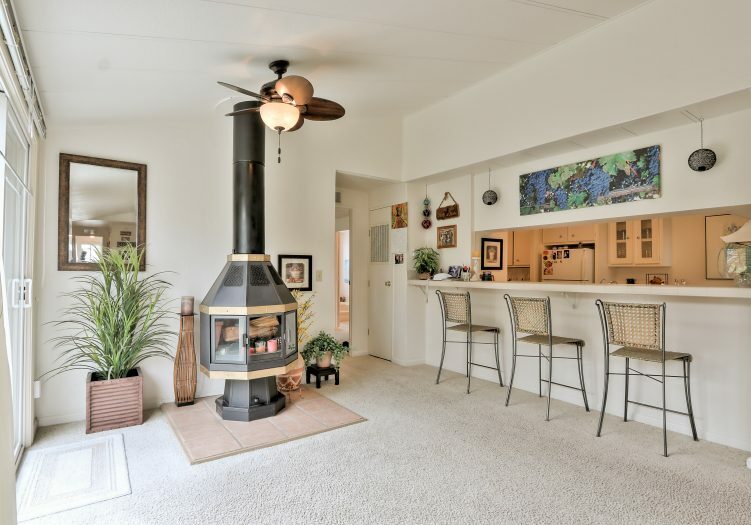 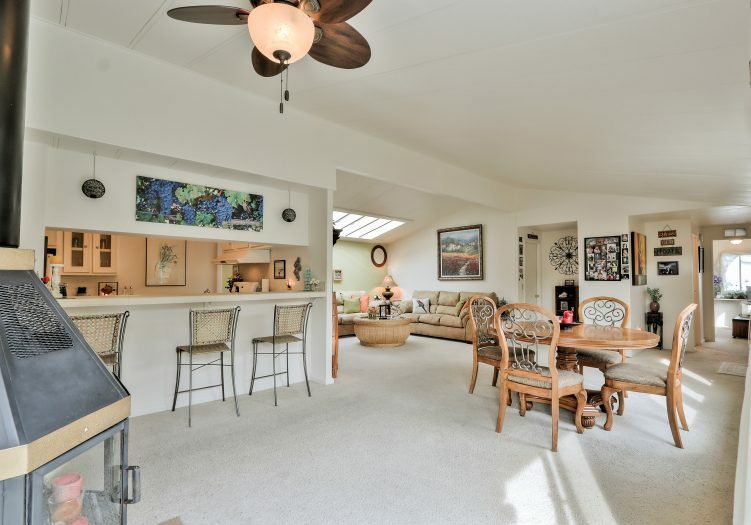 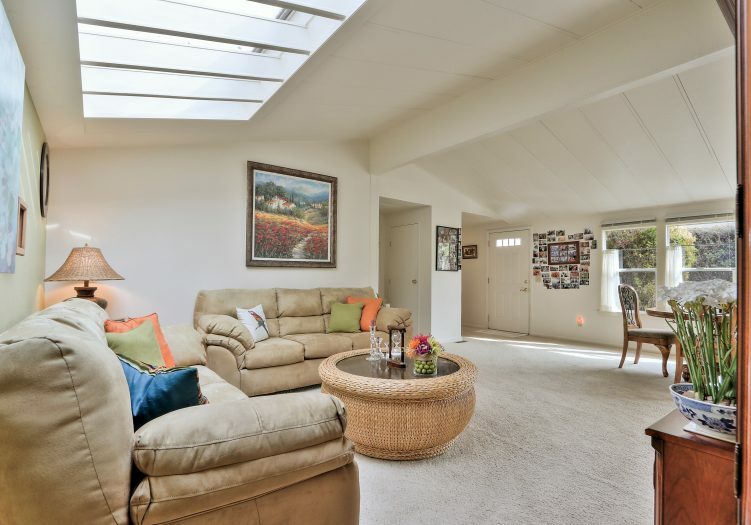 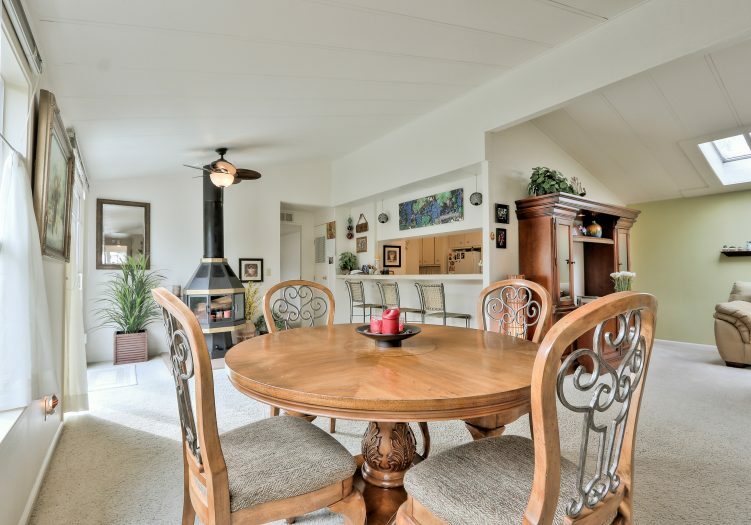 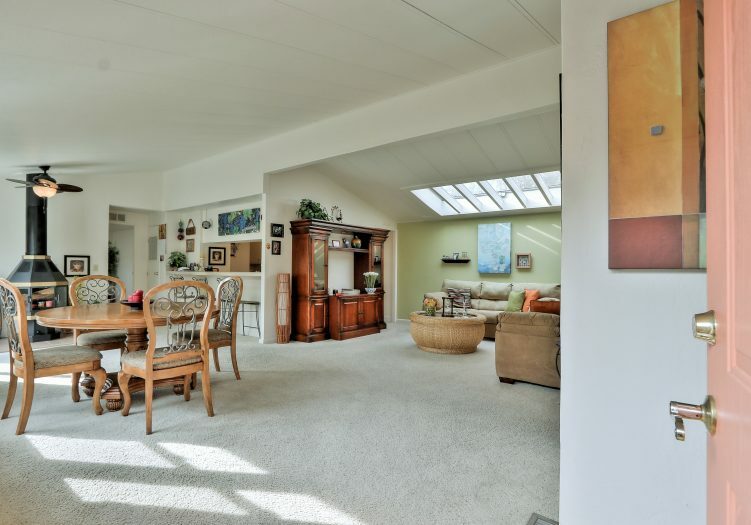 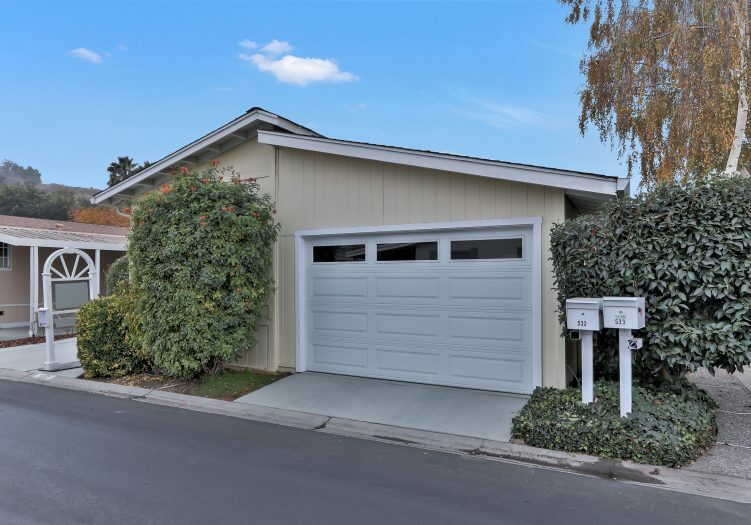 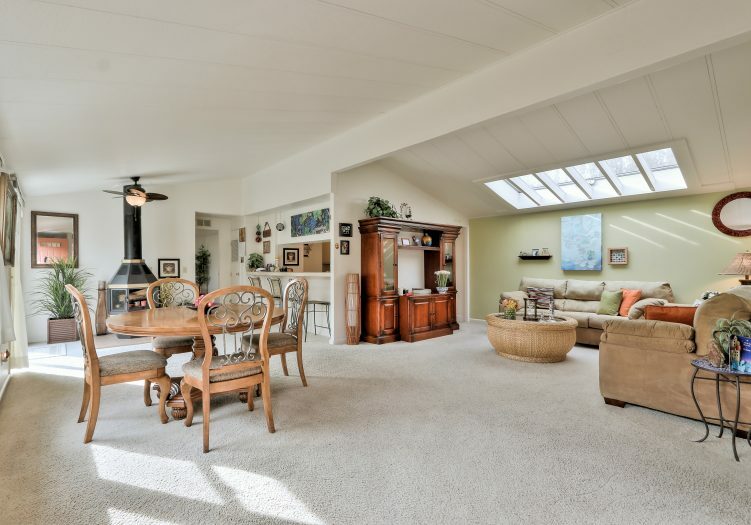 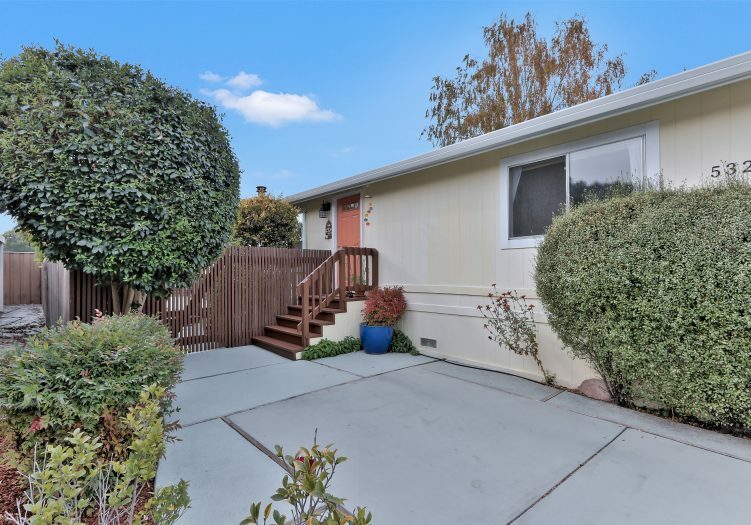 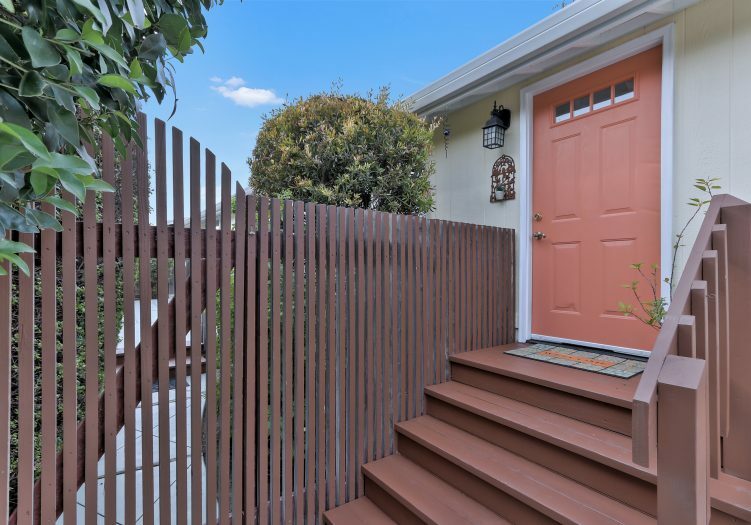 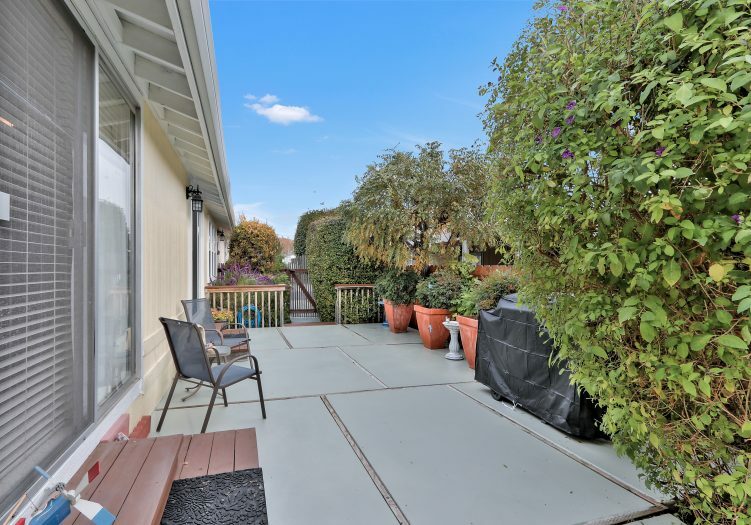 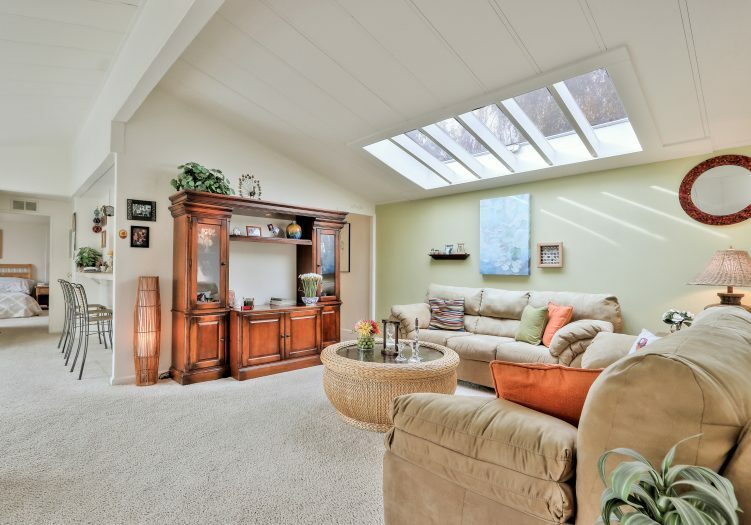 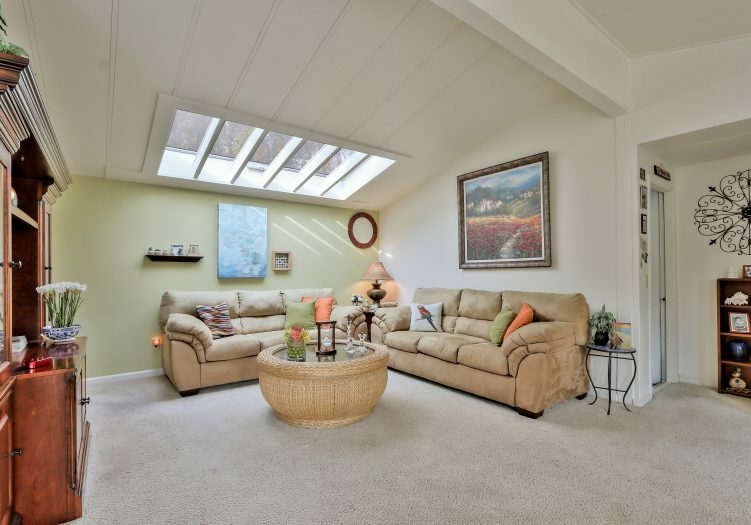 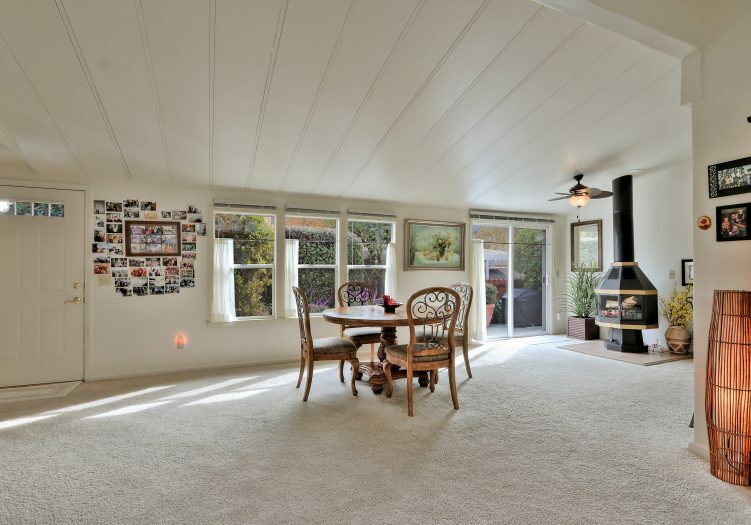 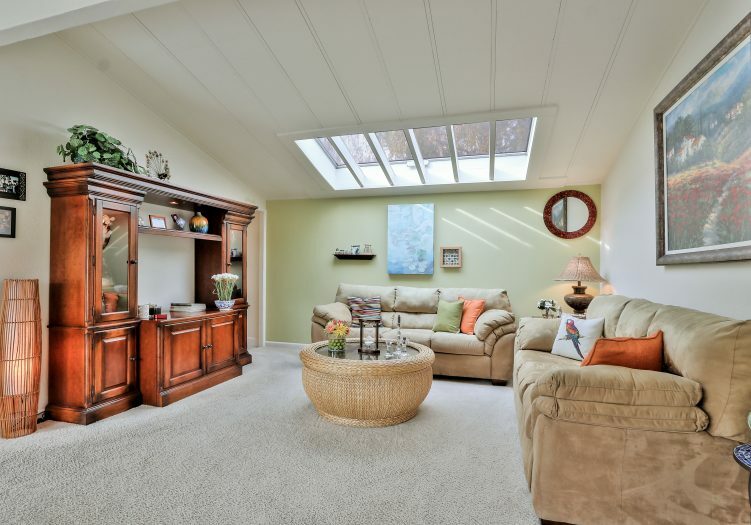 Built in 1979, this remodeled home with a split floor plan showcases fresh interior and exterior paint, plush carpet, large dual pane windows, skylights, central A/C, and a fully functional vintage fireplace that is perfect for those cozy winter nights. 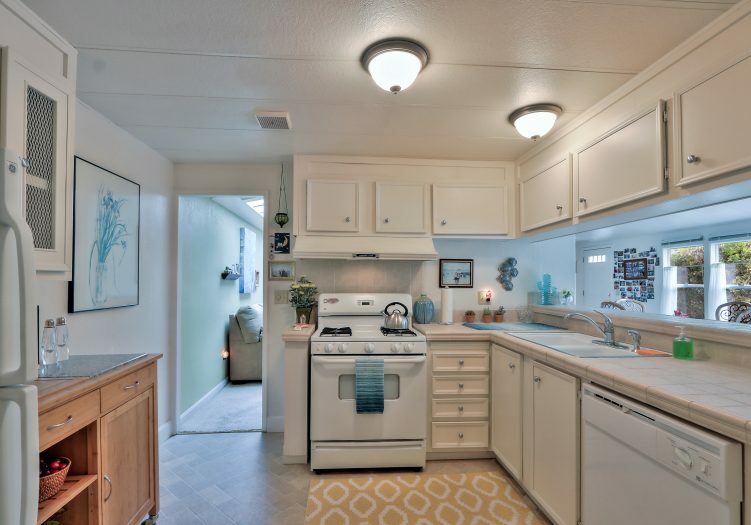 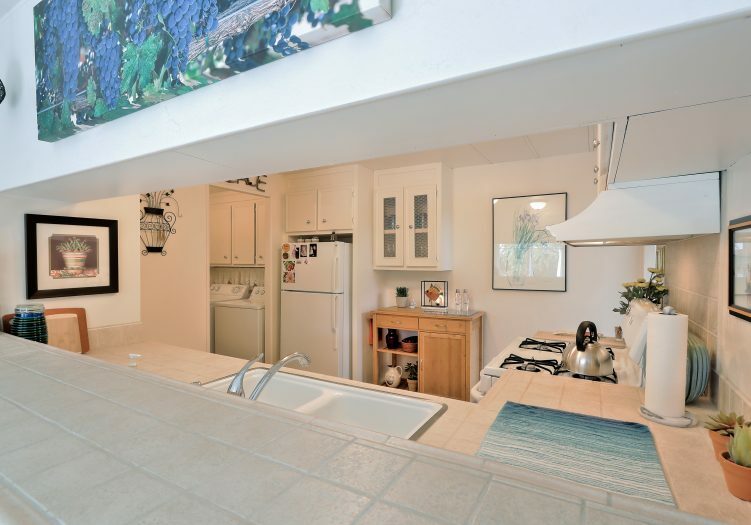 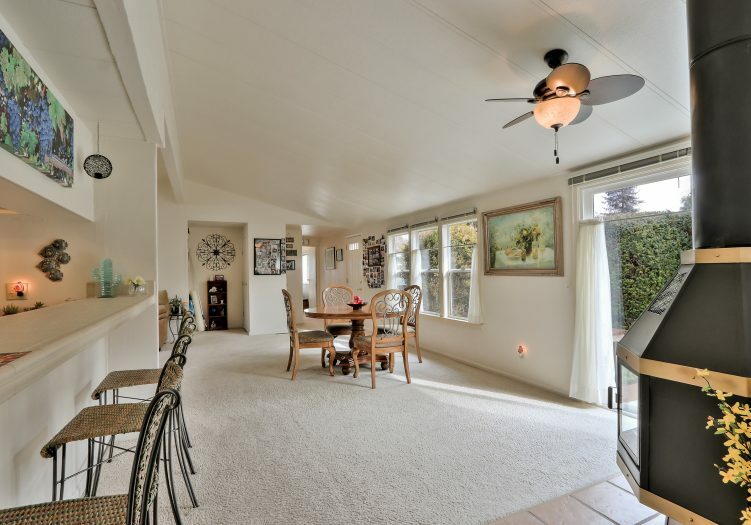 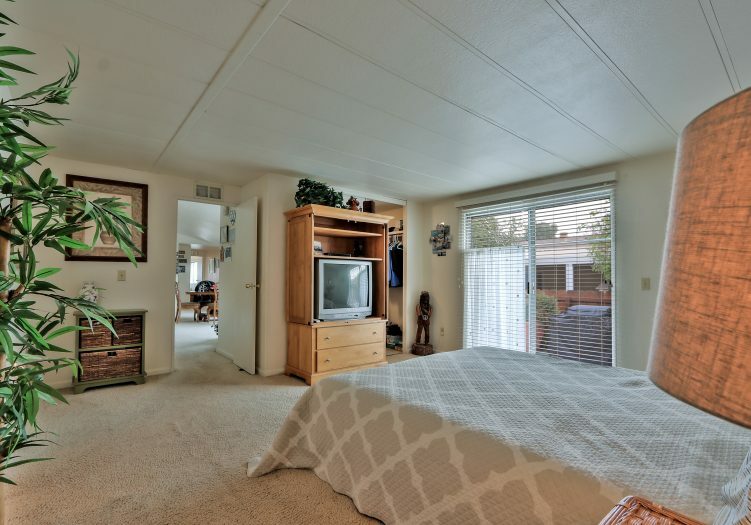 The quaint kitchen offers tiled countertops, white appliances, and ample cabinet space. 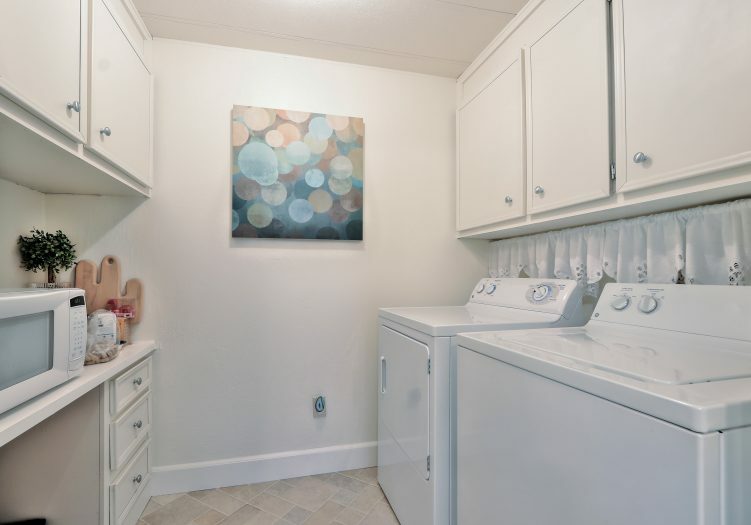 Next to the kitchen is the laundry room with additional cabinet space for storage. 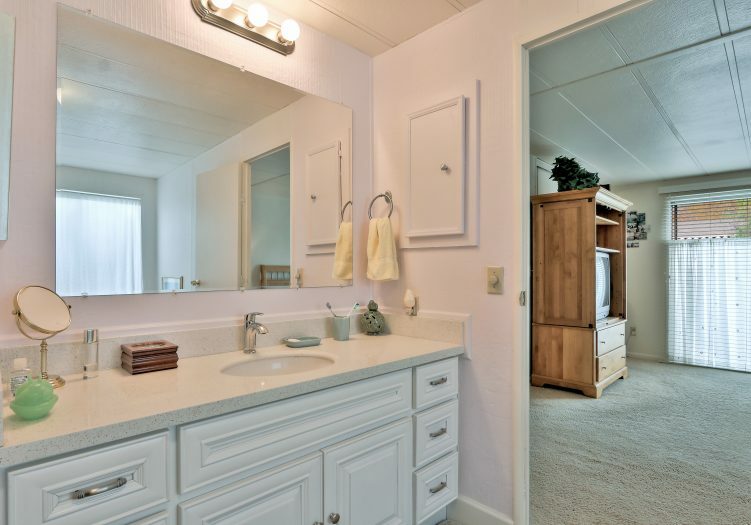 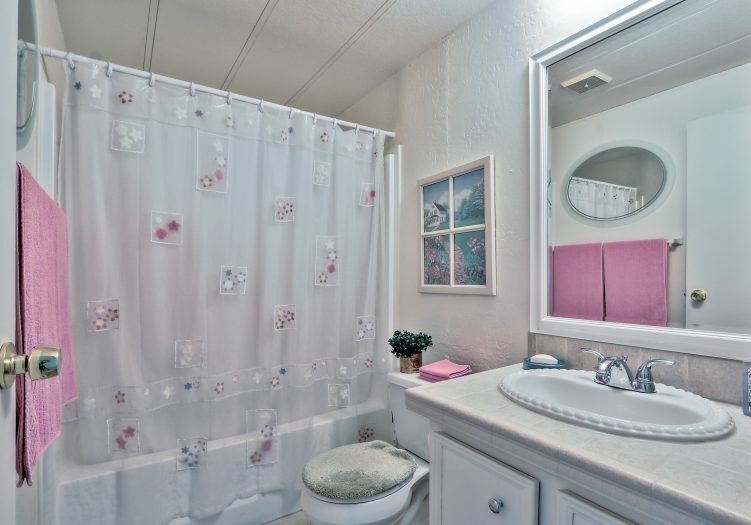 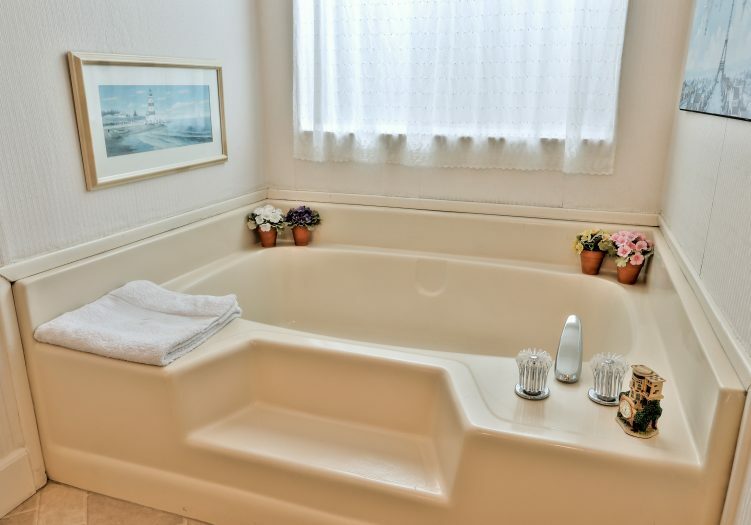 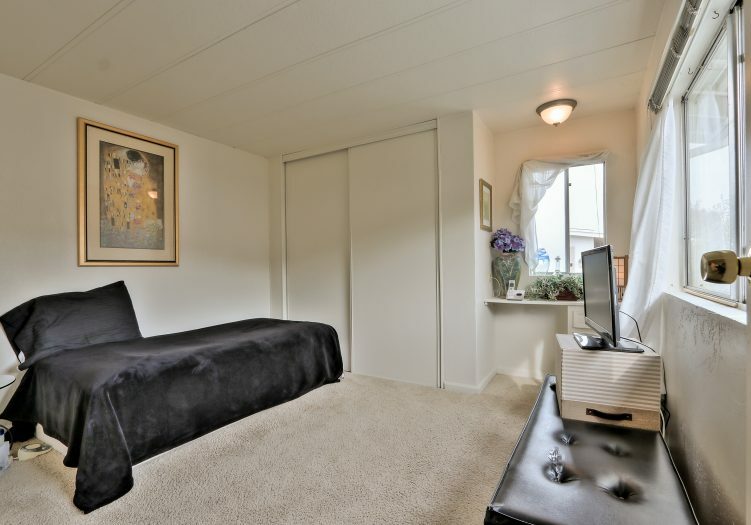 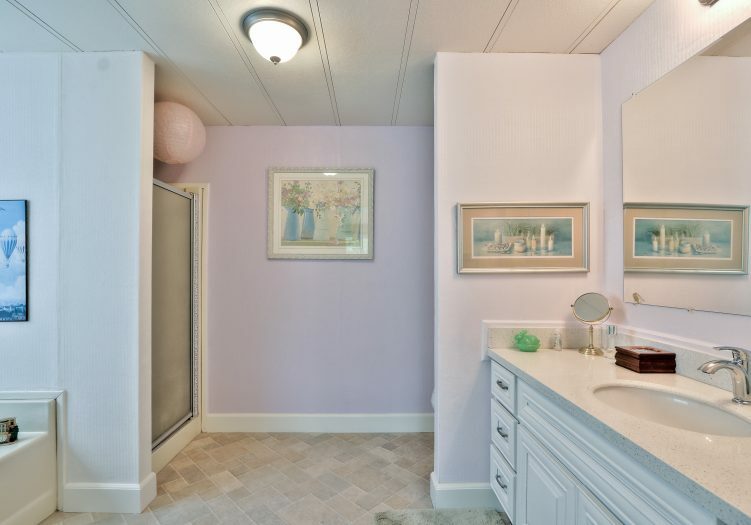 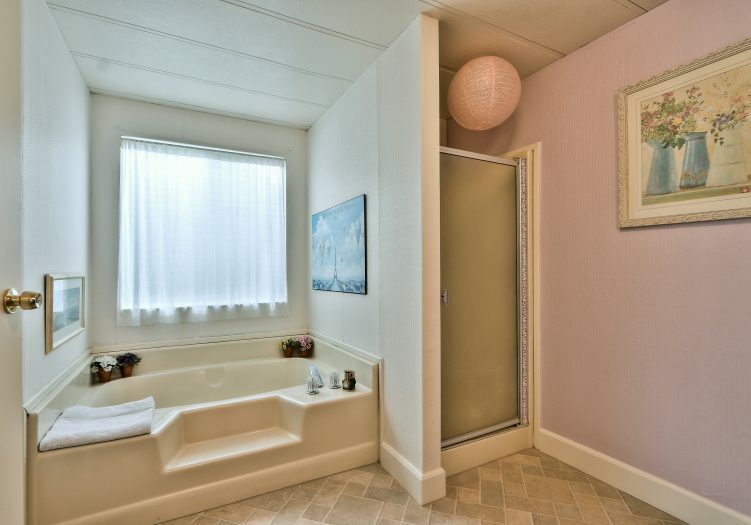 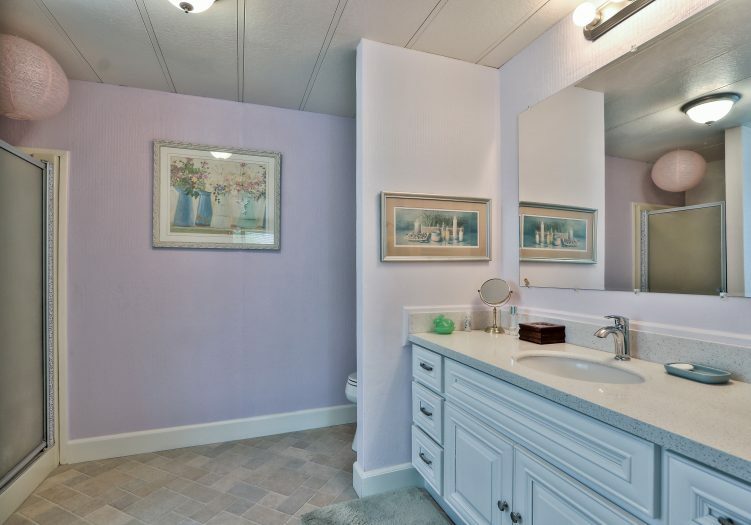 Down the hall, the tranquil master bedroom features a private bathroom with a soaking tub and walk-in shower. 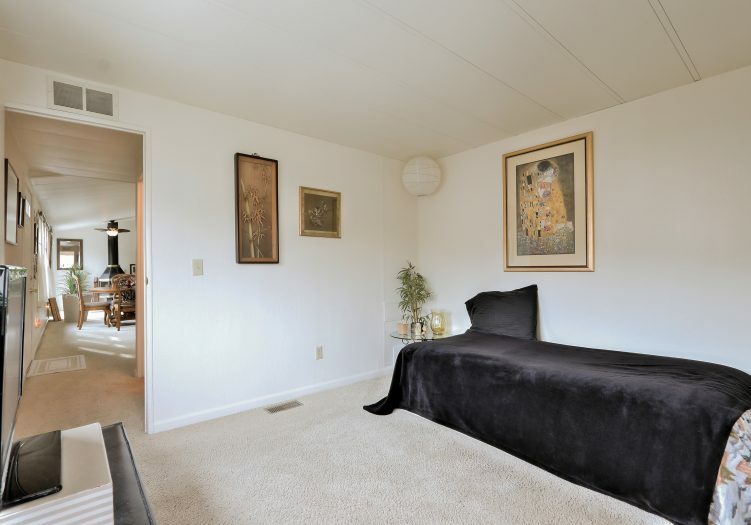 The guest bedroom and bathroom are located towards the front of the home. 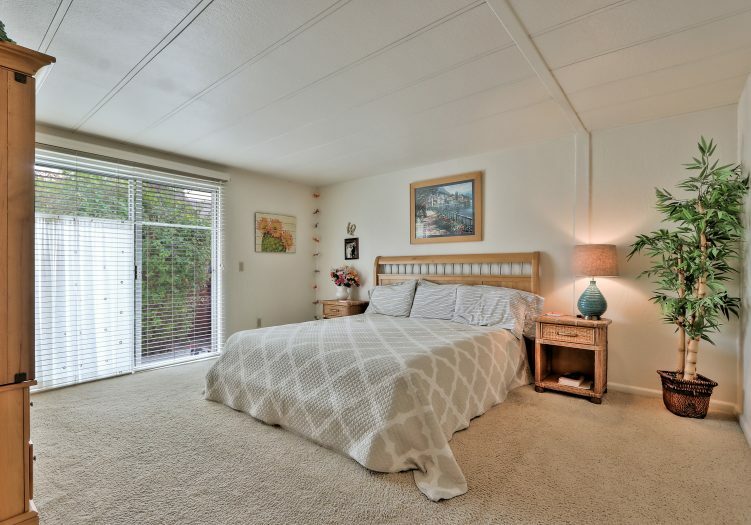 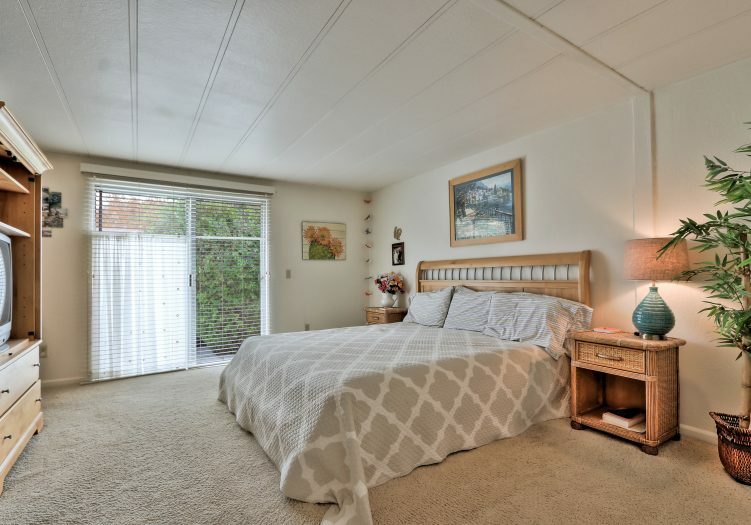 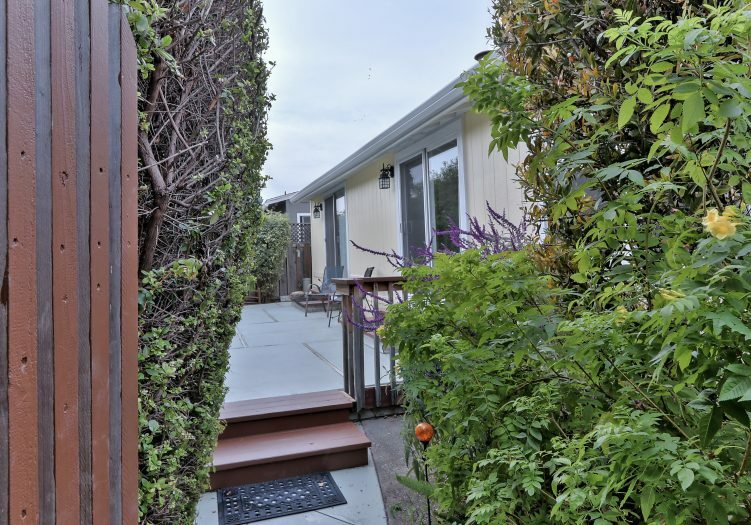 Both the master bedroom and dining area has sliding glass doors leading to the fenced-in side yard, creating a secluded and serene space with lush plants and shrubs. 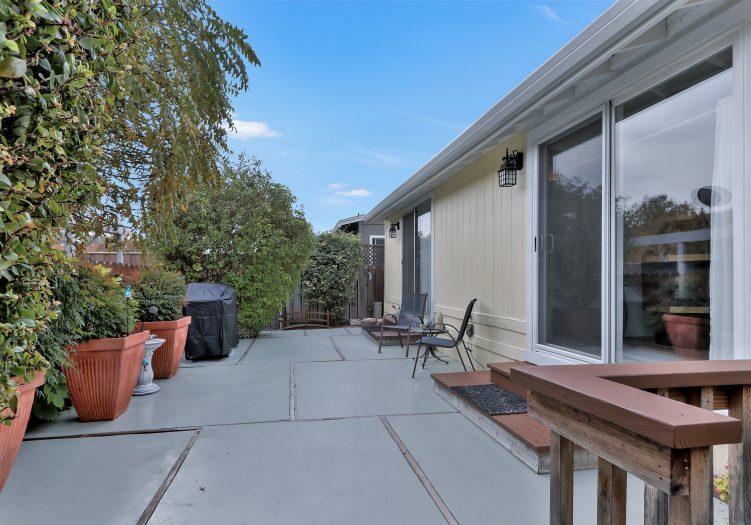 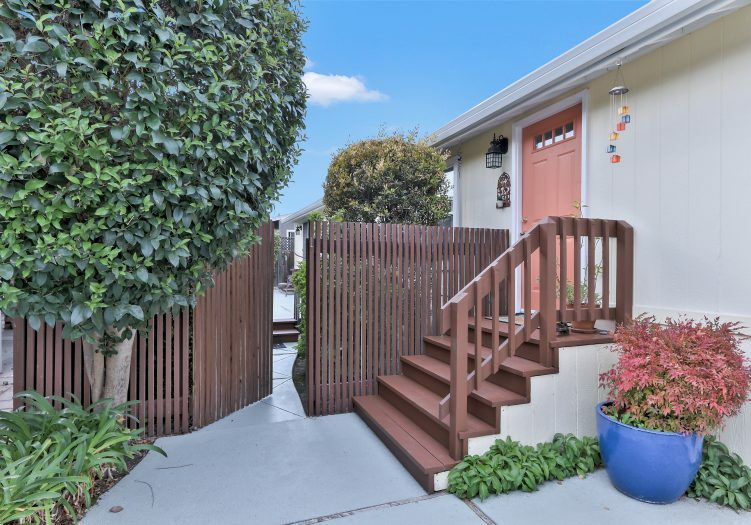 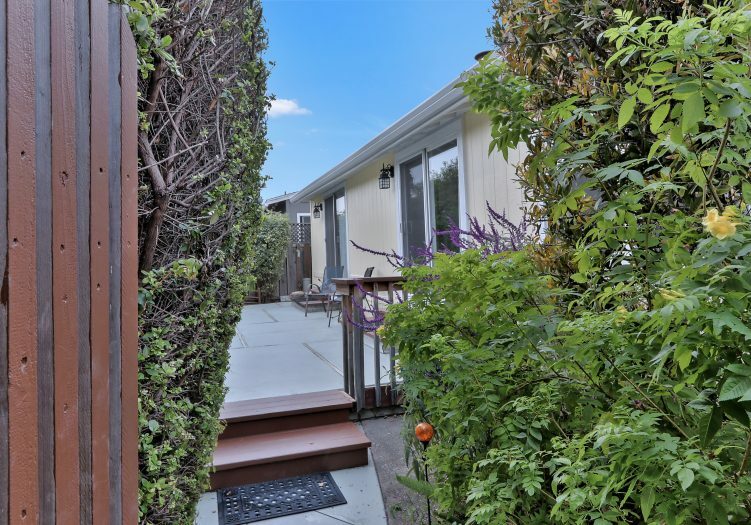 This is a home great for hosting holiday events, barbecues, and backyard parties, you'll be the talk of the town! 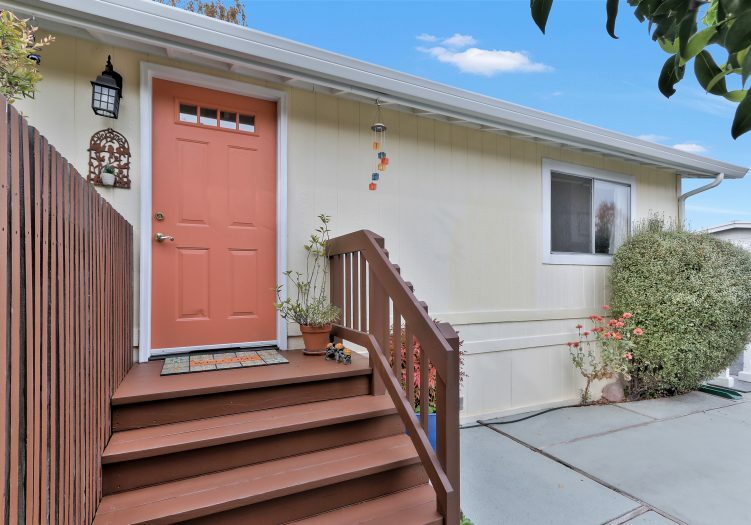 Whether you are upsizing, down sizing, or just want a fabulous, affordable home to live in, THIS IS IT! 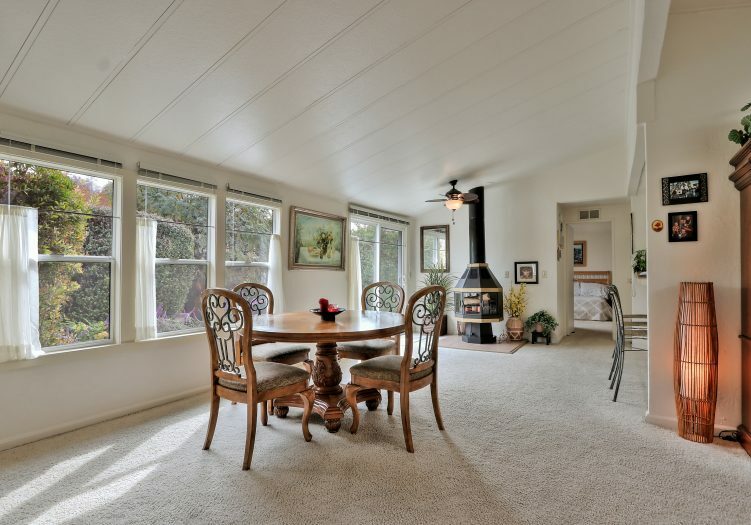 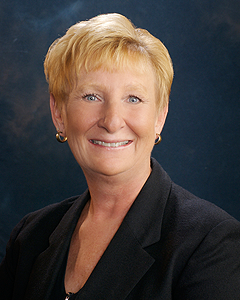 Call Connie at (866) 494-8993 today to schedule a private viewing! 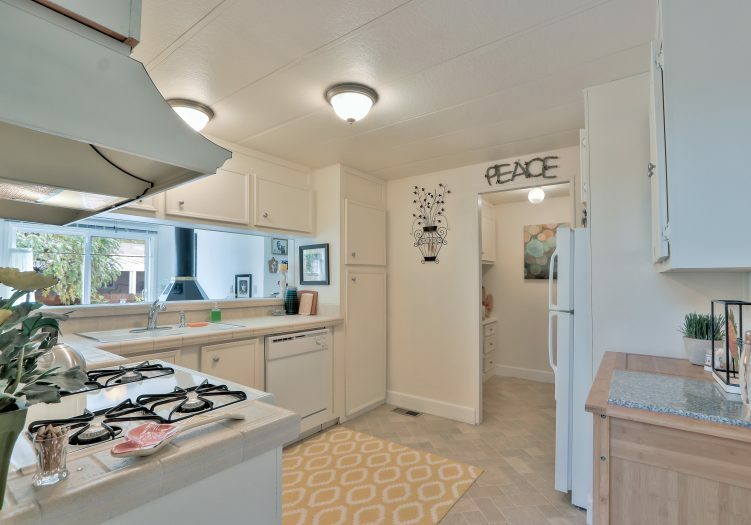 This is a manufactured home on leased land (not real estate); the land lease is $933 per month.